WiFi Doorbell Camera | Ring Wireless Video Doorbell Camera - Shoplist minutes! A new approach to home security. Act as if you are at home even if you are not. Speak to your front door visitor as soon as he appears at your door even before he rings the bell and prevent break-in from taking place. Answer the door from anywhere in the world. Give instructions to the visitor over your phone. 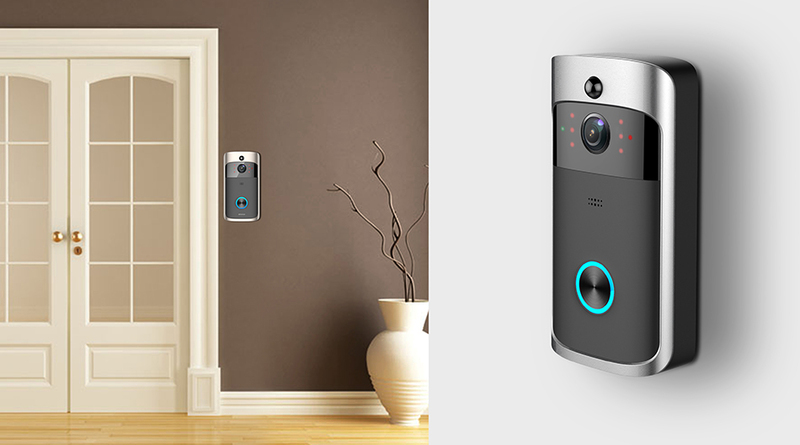 Connect your Smart Video Doorbell with your favourite smart locks and hubs for added convenience, monitoring and security. Watch over your home in wide-angle 720HD1080P HD video, and protect your property around the clock with infrared night vision. Hear and speak to people at your door from your mobile device with built-in microphone and speakers. Setup Requirements: Only if wiring in: Standard doorbell system with 8-24 VAC doorbell transformer. Doorbell wiring at install location.